As you all might know, Urban Decay turned 20 this year. And that's why they are releasing some out of the world limited editions to celebrate. Recently they released this amazing palette called Moondust. 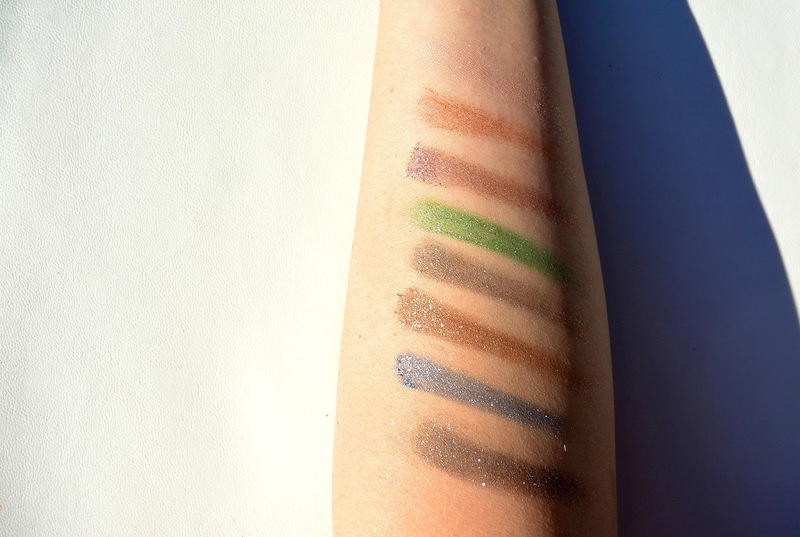 Moondust has some great and highly pigmented glitter eyeshadows. I did my very best to capture the packaging as it really is. As you can see the packaging has all the colors of the rainbow when you hold it in the sun. When taking out the palette of the box, their is a super nice palette. 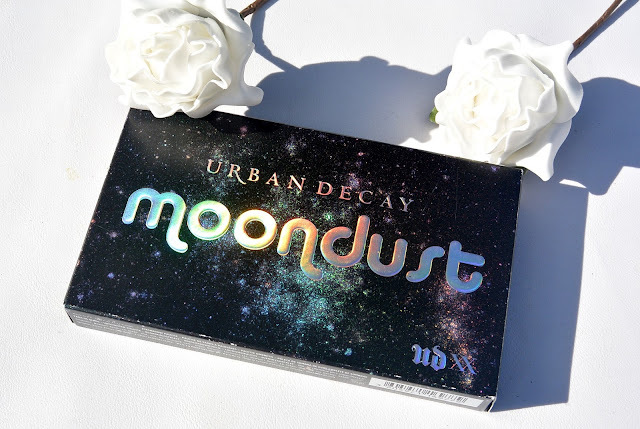 It is filled with glitter (to refer to all the glitter that's inside the palette), and the word 'Moondust' is written with a mirror. Inside the palette you'll find eight new shades. Are you as curious as me? Come and discover the new Moondust shades with me! 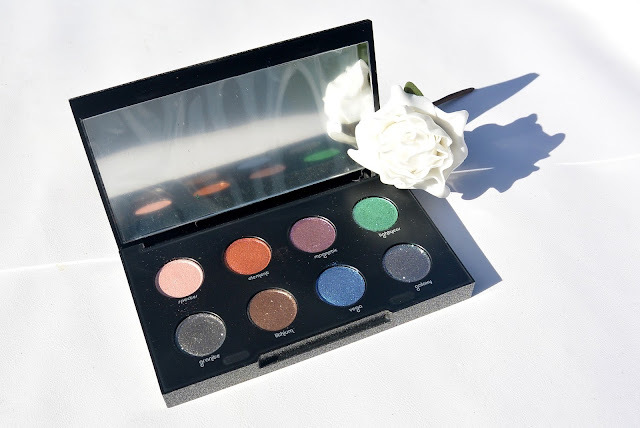 SO as mentioned before, there are eight new shades in this palette, including Elementary (an amazing peachà, Lightyear (a vibrant green) and Galaxy ( a smoky blue-gray). Galaxy is my favourite color of this palette. 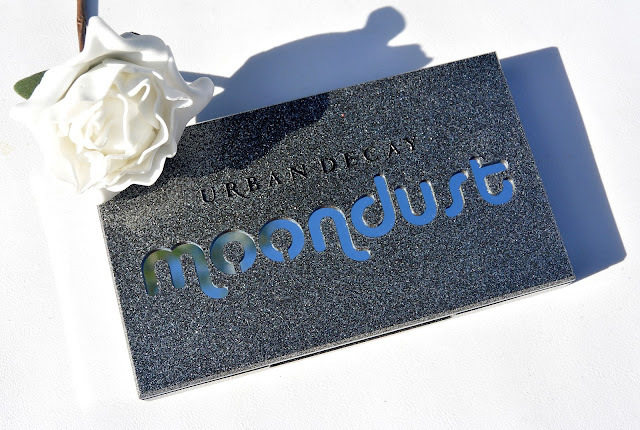 Urban Decay recommend applying the Moondust eyeshadows with your fingers. 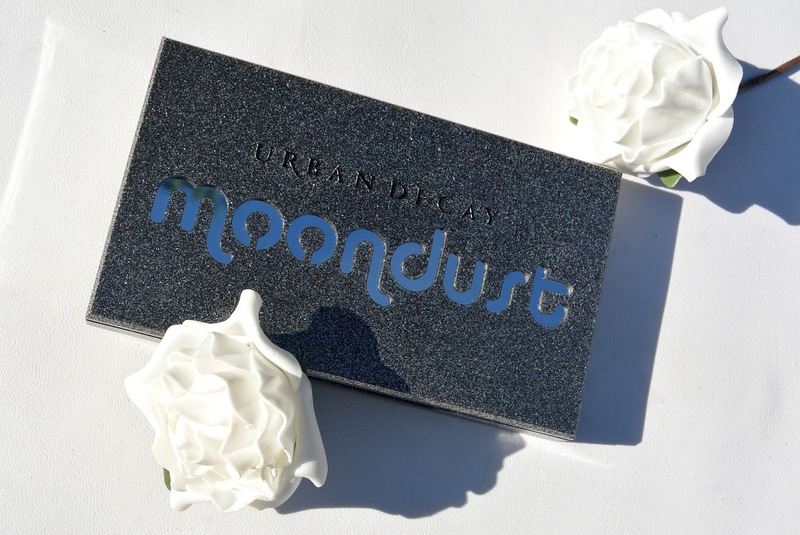 And if you want an extra intense payout, you should apply Moondust wet and blend it out with a dry brush. On the picture above you can see that these Moondust eyeshadows are really out of this world and have an amazing glitter in them. I just love this palette! 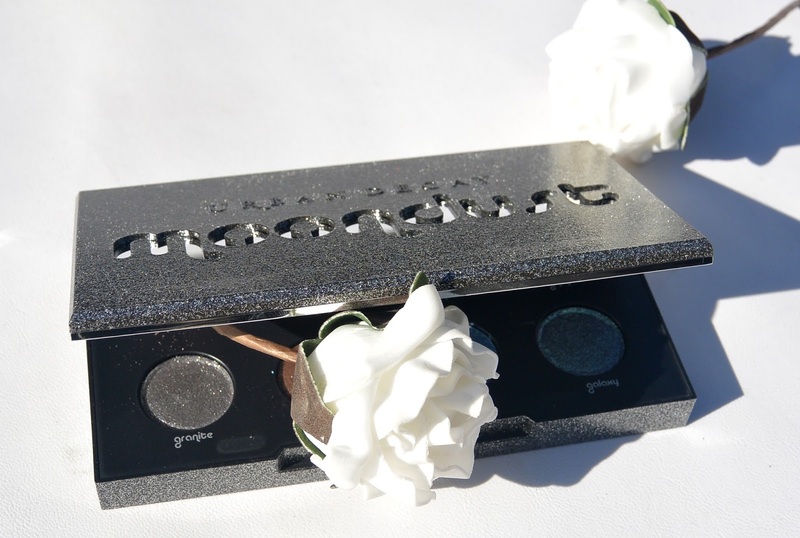 It was about time that a brand released a glitter palette. 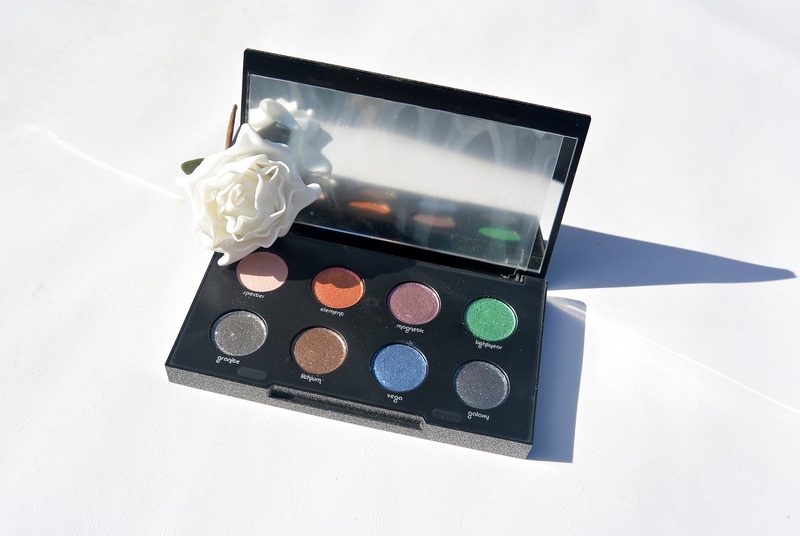 Are you also in love with this Moondust palette? Wow wat een mooi palette, zeker het design is echt af! Such a gorgeous palette, enjoy it!